This fresh, breezy maxi dress creates a classy look that will get you noticed. 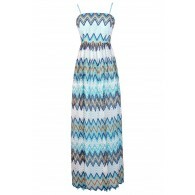 The One The Deck Stripe Maxi Dress With Contrast Sash is fully lined to the mid-thigh. 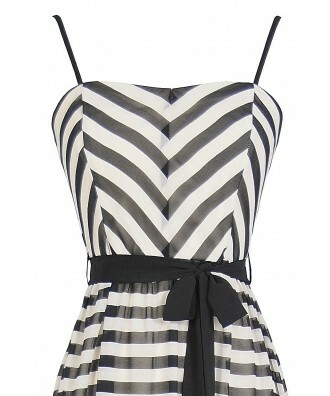 It is made of chiffon fabric with bold colorblock stripes throughout. A contrasting fabric sash wraps around the waist and can be tied into a bow or left to hang. Adjustable spaghetti straps match with the fabric sash and allow you to control the fit of this dress. A hidden back zipper completes this nautical-inspired look. 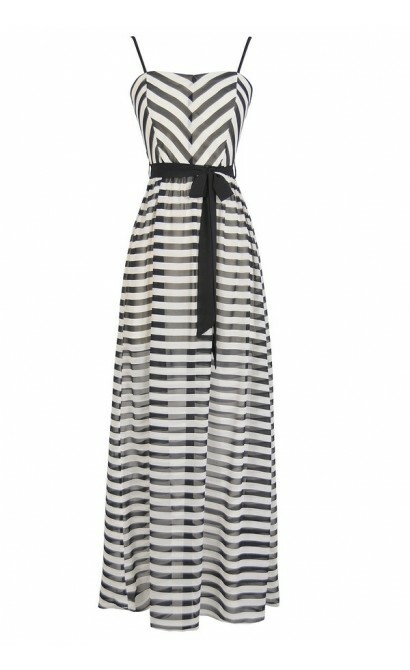 The On The Deck Stripe Maxi Dress With Contrast Sash would look great dressed down with flat sandals or dressed up with wedges or heels. Details: Fully lined to mid-thigh. Adjustable spaghetti straps. Hidden back zipper. 60% silk, 40% polyester. Lining: 100% polyester. Hand wash cold water separately. Color will bleed. No bleach. Hang to dry. Small measurements: Length from top of bust to hemline: 54”. Bust: 32”. 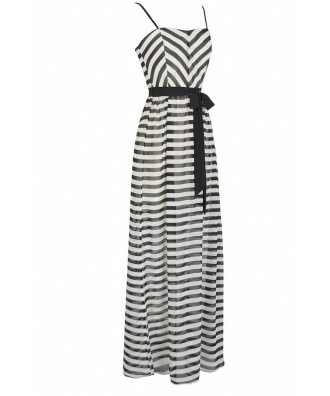 You have added On The Deck Stripe Maxi Dress With Contrast Sash in Black/Ivory into Wishlist. 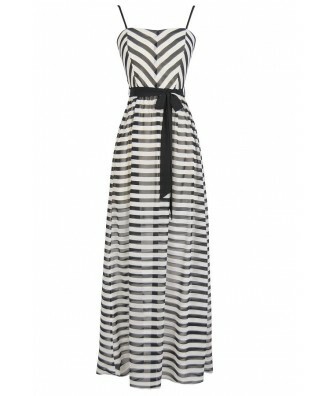 You have added On The Deck Stripe Maxi Dress With Contrast Sash in Black/Ivory for Stock Notification. 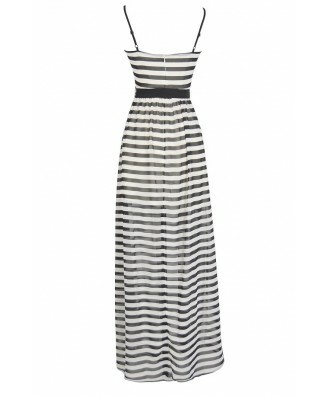 You have set On The Deck Stripe Maxi Dress With Contrast Sash in Black/Ivory as a loved product. 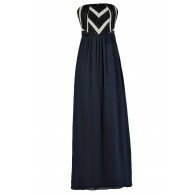 You have removed On The Deck Stripe Maxi Dress With Contrast Sash in Black/Ivory as a loved product.